Super Mario Odyssey Guide - How to find Yoshi | PowerUp! Super Mario Odyssey is out now. It’s an incredible game and it’s also huge. Not to worry though, we’ve got your back with a number of handy guides, tips and hints. In this one, we’ll tell you how to find Yoshi. It wouldn’t be a Mario game if everyone’s favourite dinosaur wasn’t somewhere to be found. Unlike other games though, you don’t get to ride Yoshi in Super Mario Odyssey. Thanks to Cappy’s handy capturing ability, you’ll actually capture Yoshi and become him. He even gets a little moustache and blue eyes. It’s stupidly cute. To find him, you’ll need to have finished the story and defeated Bowser. Once the credits have finished rolling, you’ll unlock the Mushroom Kingdom. 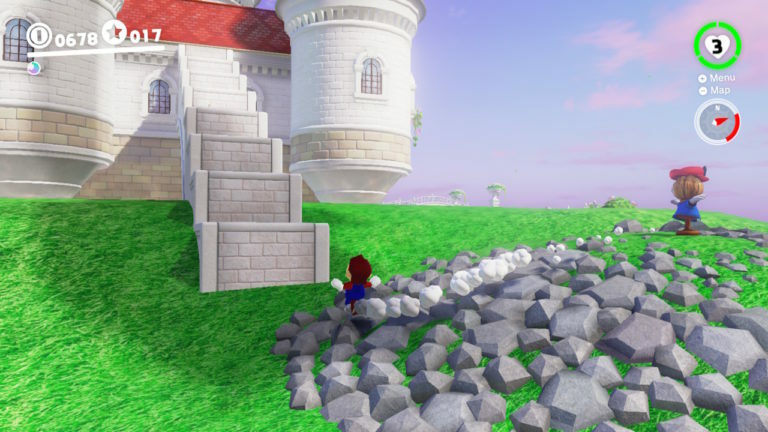 If you’ve played Super Mario 64 then you probably have some idea about where to find Yoshi. 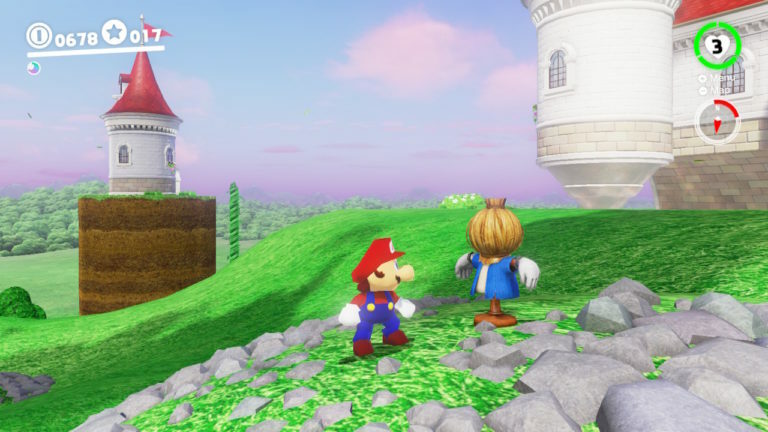 You’ll need to head towards the left-hand side of Peach’s Castle (from the Odyssey) and throw Cappy at the scarecrow you’ll find there. A temporary flight of stairs will appear allowing you to climb on top of Peach’s Castle. 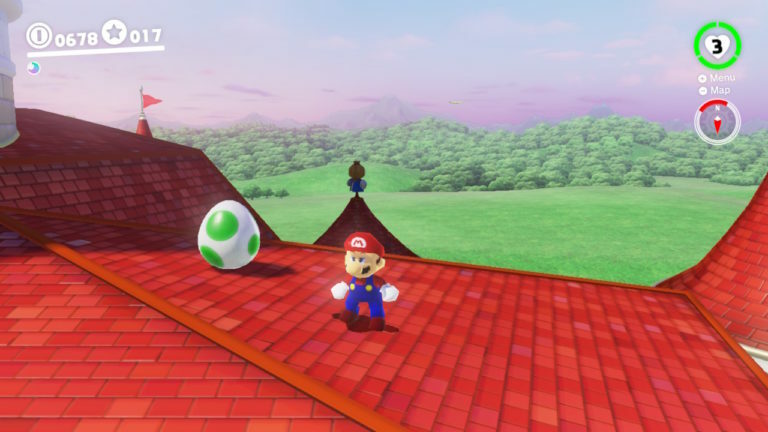 Head over to the opposite side of the roof and you’ll find a familiar egg. All you’ll need to do is throw Cappy at the egg and Yoshi will burst out. 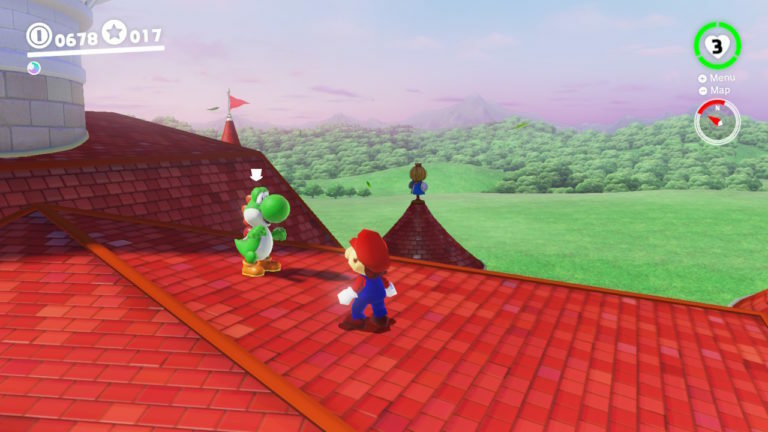 Throw Cappy at Yoshi and you’ll capture him. 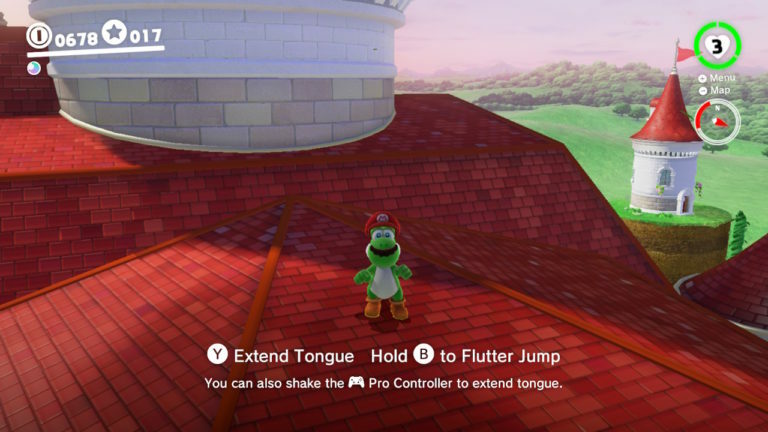 While playing as Yoshi you can use Y or X to use his tongue and A or B to jump. If you hold the jump button down, you’ll do Yoshi’s flutter. He even makes all of those adorable Yoshi sounds. 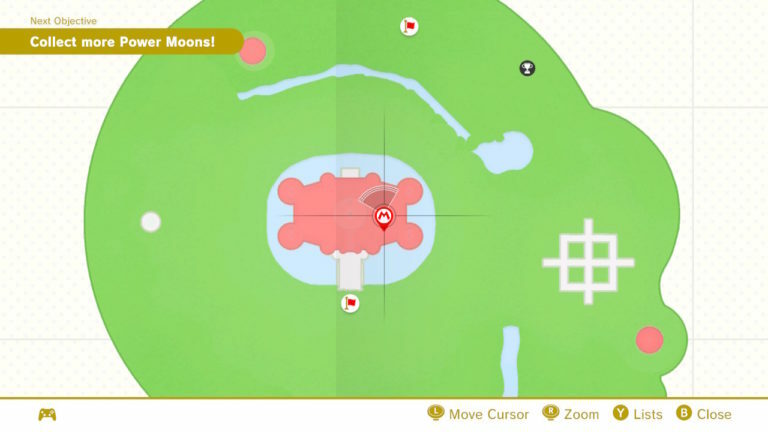 While you have Yoshi captured in the Mushroom Kingdom you should take the time to unlock a Power Moon. Scattered around the world are apples, the same ones from Super Mario World. Keep eating the fruit until Yoshi is full and you’ll unlock a Power Moon.